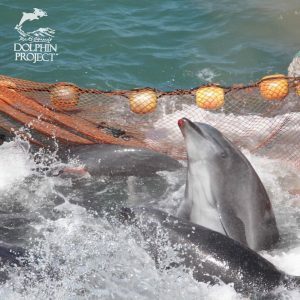 In my 13th consecutive year on the ground in Taiji, Japan, where both the killing and capture of dolphins takes place and upon which the Academy award-winning movie “The Cove” was based, I could sense a tension which wasn’t present in previous years. The police, whom we’ve always had a good relationship with, continued to be friendly, but were obviously receiving orders from higher up. Just hours before the start of the 2015/2016 dolphin drive season, I was arrested for allegedly not carrying a passport. After spending the night in jail, forcing me to miss the September 1 start, all charges against me were dropped when police located the passport inside the car I was driving. 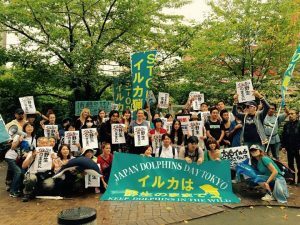 On that same day, individuals, activists and organizations across the world participated with Dolphin Project in an International Day of Action, showing Japan, as well as the rest of the world that the massacre of dolphins in Taiji is a crime against nature and must be abolished. Eleven days after, a pod of approximately 12 Risso’s dolphins were driven into the killing cove and slaughtered – but not before a female Risso’s attempted to flee towards the beach, landing mere feet away from where I was standing. 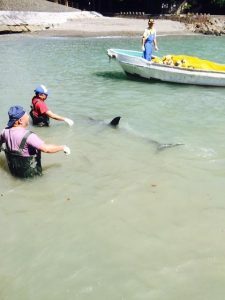 It was a horrifying scene, all caught on Dolphin Project’s live stream, and our video was soon picked up by international media and broadcast across the world. 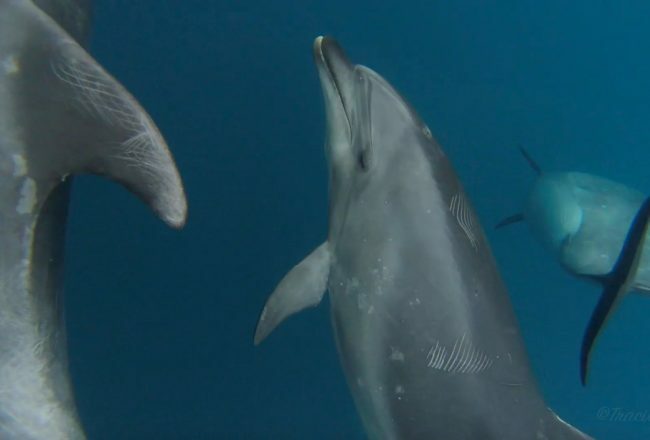 In the first capture of the season for captivity, a pod of 75-80 bottlenose dolphins were pushed and netted into the cove. 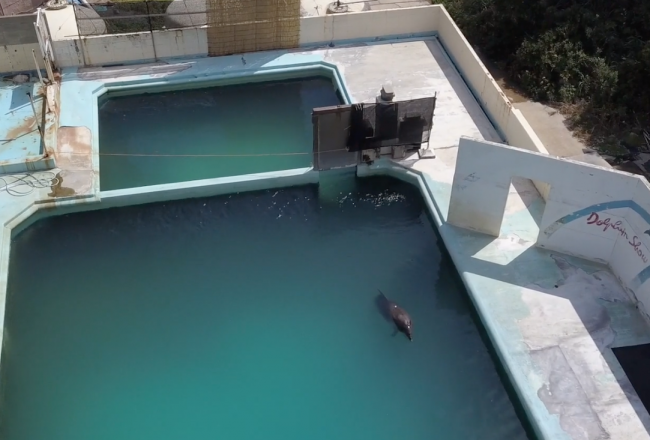 Over a two-day period, an estimated 50 animals were selected for a life of captivity, with the remaining pod irreparably broken. Babies were separated, then reunited with their mothers. 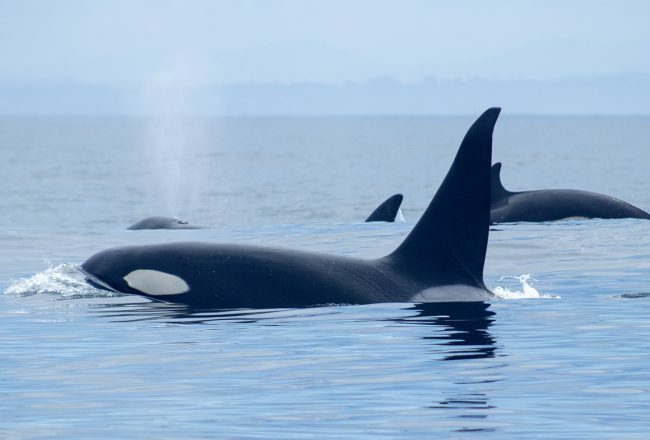 Dorsal fins were smeared with blood. 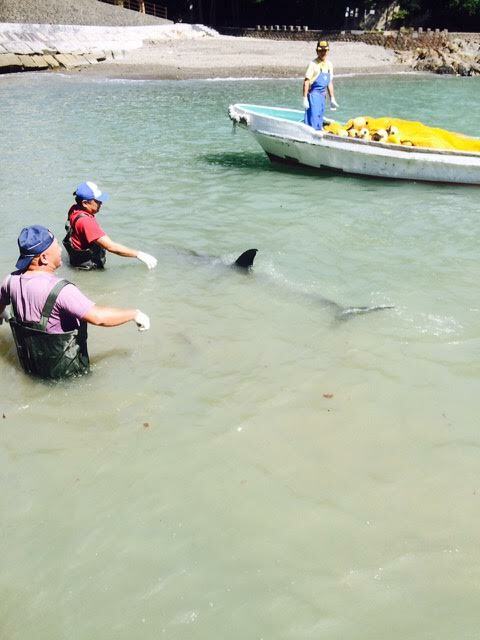 Dolphins were entangled in nets. It was a war zone. Amidst these atrocities, came hope in Ollie Blackmore, who with a 3600km solo and unsupported ride across Japan, made it his mission to raise awareness and funds for Dolphin Project. 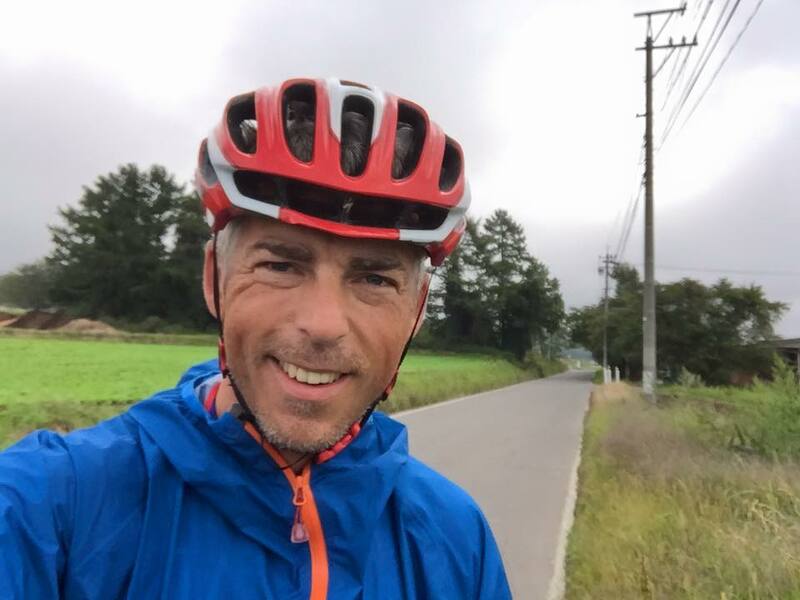 He rode directly into Taiji and several blue cove days followed him. 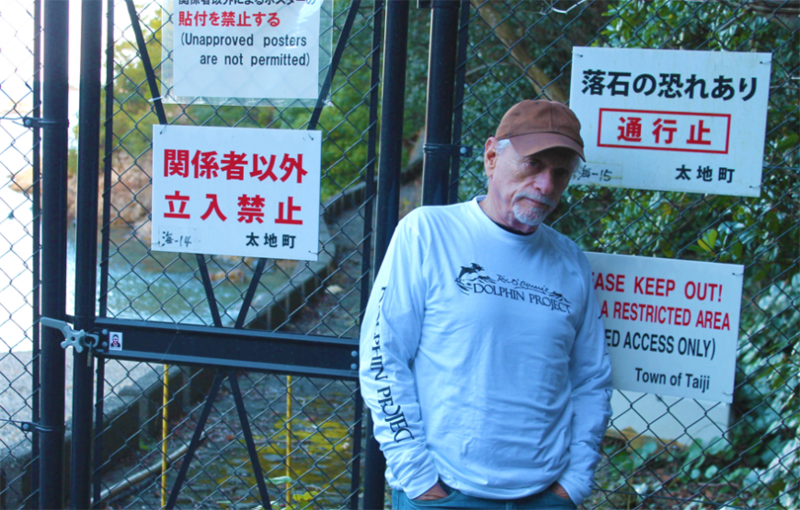 During his visit, Ollie, myself and our Cove Monitors went to Nachi Falls, where I made a prayer for dead dolphins. When another arrest on bogus charges became imminent, I went to Beijing and made my way to Europe, where I am now. I’m planning on returning, when I am assured my civil liberties won’t be violated again. 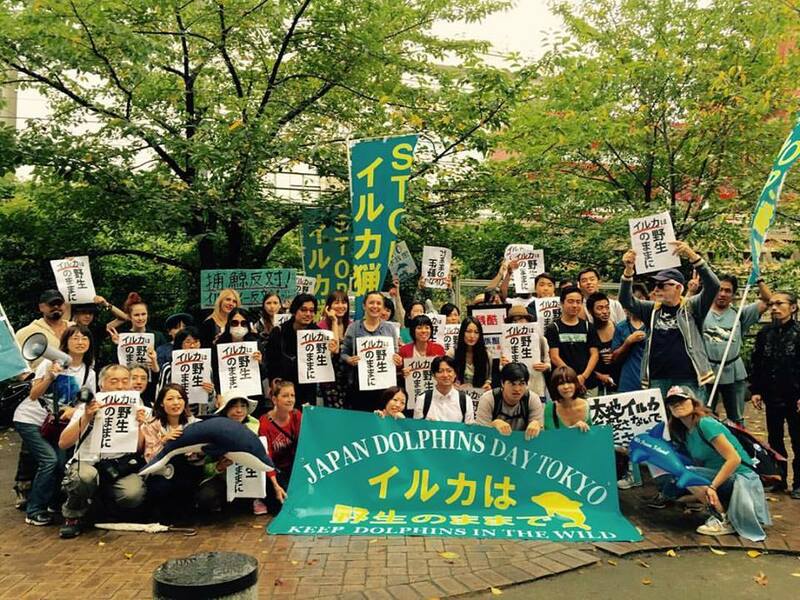 Dolphin Project will be on the ground in Taiji for approximately six months, during the entire killing season. Without a presence there, it’s a case of “out of sight, out of mind.” That’s why it’s crucial for us to document and share with the world the atrocities being committed to dolphins in Taiji. 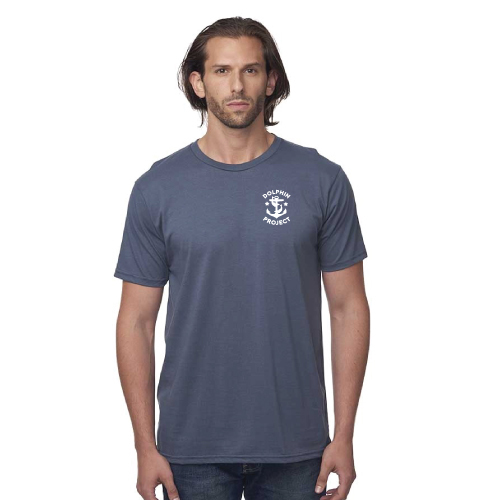 Your support – whether be donating funds, volunteering to be a Cove Monitor or purchasing original gear – is crucial to our campaigns, and is greatly appreciated. This can double, and even triple your donation. To see if your company matches gifts, check our Giving Widget. As a monthly donor, you allow us to focus more resources on lifesaving programs, and less on raising the necessary funds. 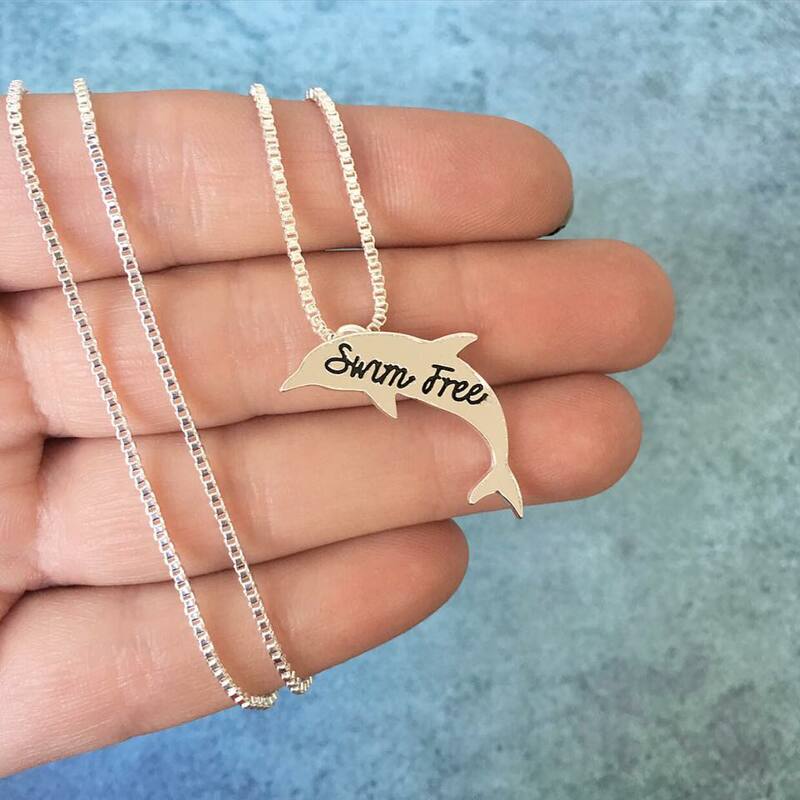 When you shop on Amazon, Amazon donates a portion of the proceeds to Dolphin Project.